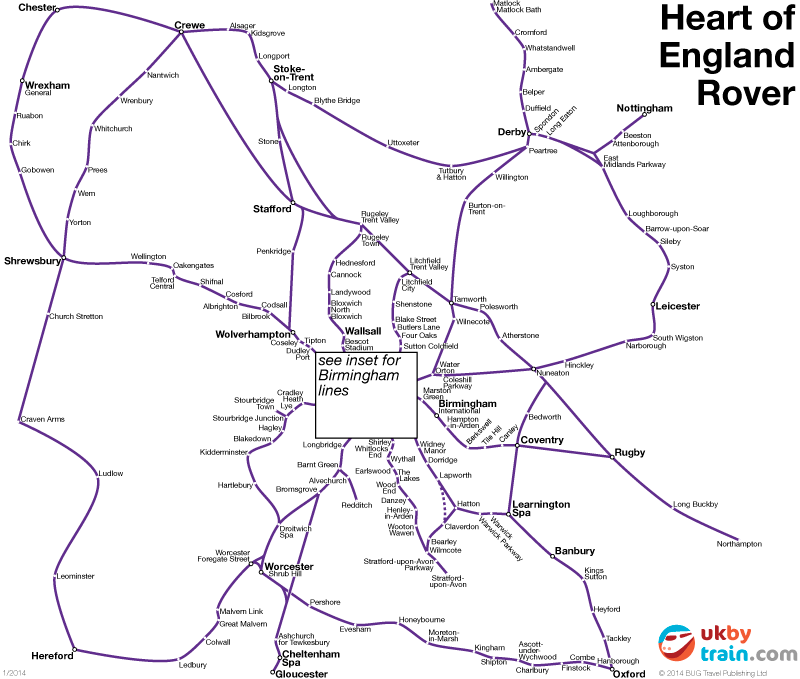 The Heart of England Rover rail pass gives you unlimited travel in the Heart of England (the area of England that extends from Oxford and Glocestershire in the south to Cheshire and Derbyshire in the north and includes the Midlands, the Peak District and Shropshire). 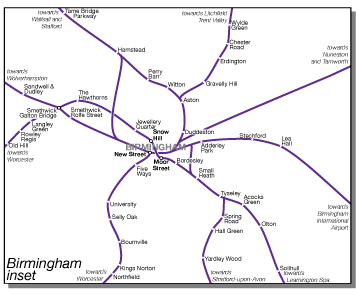 This pass is ideal for exploring the region including Birmingham; Ludlow and Shrewsbury in Shropshire; Nottingham and Leicester in the East Midlands; Gloucester and Cheltenham in Gloucestershire; Stratford-upon-Avon, Coventry and Warwick Castle in Warwickshire; the potteries of Stoke-on-Trent; Chester and the Peak District. It is a great option both if you’re a tourist travelling through the region, or if you’re based somewhere in the Heart of England and want to make day trips to explore the area. This pass is good for travel after 9am Monday–Friday and all day on weekends and bank holidays.